Cash-out refinancing is rising, but the Urban Institute  gives three reasons why the growing share is no reason for concern just yet. According to a blog by Urban Institute's Housing and Finance Policy Center , the share of refinance loans where borrowers increase their loan balance to extract equity from their home has reached the highest point since 2008 and stood at 77 percent of total refinances in the second quarter of 2018. However, the volume of home equity cashed out was still below crisis peak totaling $15.8 billion during the quarter far below the highs between $75 billion and $85 billion during the pre-crisis years. Apart from the low volume, the report gave three additional reasons as to why it wasn't time yet to ring the alarm bells. First, cash-out refinance share was strongly correlated with home price appreciation and rising interest rates. 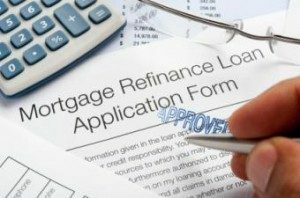 This meant that homeowners typically chose to refinance their mortgage to lower their monthly payment by obtaining a lower interest rate or to extract equity from their home. The current environment of rising rates and strong home price appreciation, the report pointed out, was driving the higher cash-out refinance share and as homes increased in value, borrowers got an added incentive to refinance their loans and tap into their mounting equity. According to the Urban Institute, the second reason was that the share of cash-out refinance to total production was in line with historic trends. Putting the numbers in context, the report said that Over the past few months, the overall refinance share of total mortgage loans was at or near the lowest point in years, largely because rising interest rates made rate refinances unattractive to most mortgage holders. "Refinance loans make up such a small share of total loan production—currently below 30 percent for Freddie Mac—so the cash-out refinance share of all loans is still within a reasonable range and below the dangerous levels of the crisis years," the Urban Institute said in its blog. Lastly, the report revealed that borrowers were extracting less equity than they did during the financial crisis. Giving a historical perspective, the report said that in 2006, cash-out dollars as a share of refinanced originations peaked at 31 percent, meaning that borrowers then were extracting a significant portion of their equity. "Today, cash-out dollars as a share of all refinanced originations is 21 percent and has averaged just below 8 percent since the crisis. Part of this reflects the fact that Fannie Mae, Freddie Mac, and the Federal Housing Administration have lowered the maximum loan-to-value ratio for cash-out refinances, reducing the amount of cash that can be extracted," the report said.